Principles of Scientific Sociology represents a major attempt to redirect the course of contemporary sociological thought. It is clear, well-organized, innovative, and original in its discussion of the context and methods of sociology conceived as a natural science. 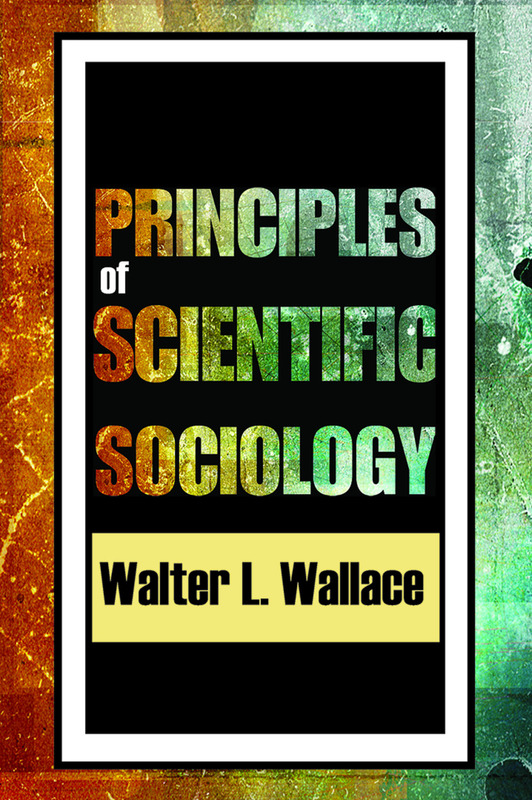 Wallace delineates the subject matter of sociology, classifies its variables, presents a logic of inquiry, and advocates the use of this logic for the acceptance or rejection of hypotheses or theories and for the solving of human problems. Social scientists, including political scientists, sociologists, anthropologists, historians, economists, social psychologists, and students of social phenomena among nonhumans, will find this work indispensable reading. Principles of Scientifc Sociology emphasizes the relationship between pure and applied sociological analysis. The essential contributions of each to the other are specified. Relationships between the substantive concepts of the sociology of humans, on the one hand, and the sociology of nonhumans, on the other, are systematized. In an attempt to put sociological analysis on a firm scientific basis, the book contains a concluding chapter focusing on central premises of natural science and their applicability to sociology. Wallace identifies the simple elements and relationships that sociological analysis requires if it is to lead to an understanding of complex social phenomena. On this basis, he considers the substantive elements and relations that comprise structural functionalism, historical materialism, symbolic interactionism, and other approaches to social data. He develops groundwork for standardizing these elements so that the contexts of different analyses may become rigorously comparable. The result is a fine, one-volume synthesis of sociological theory.